Do you live in Cantonment? 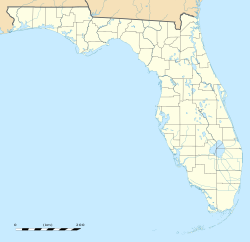 Cantonment is a town in Escambia County, Florida, approximately 20 miles (30 km) north of Pensacola. Most of the people who live in Cantonment commute to either Pensacola or the Pace, Florida and Milton, Florida areas for employment. The two largest employers are International Paper and Ascend. Schools include J. M. Tate High School, Ransom Middle School, Jim Allen Elementary School, and Pine Meadow Elementary School. The oldest cemetery is Old Muscogee Cemetery on River Annex Road. Cantonment has a dedicated zip code (32533) that claims (as of the 2010 census) an estimated population of 26,493 for a land area of 76.1072 square miles (197.117 km2) and a water area of 0.1257 square miles (0.326 km2). In 1814 Andrew Jackson camped his troops in what is now the Cantonment area.This is also how the town received its name; as a cantonment is a temporary quarter for troops. Over the years, however, the pronunciation of the town's name has changed to differ from the pronunciation of the word cantonment. Locals generally refer to the town as "can-tone-ment."